It has been a while since my last DIY-post although I had some projects during the last months too. Today I will share a bracelet with you - that I made in the summer, but somehow always forgot to post it. 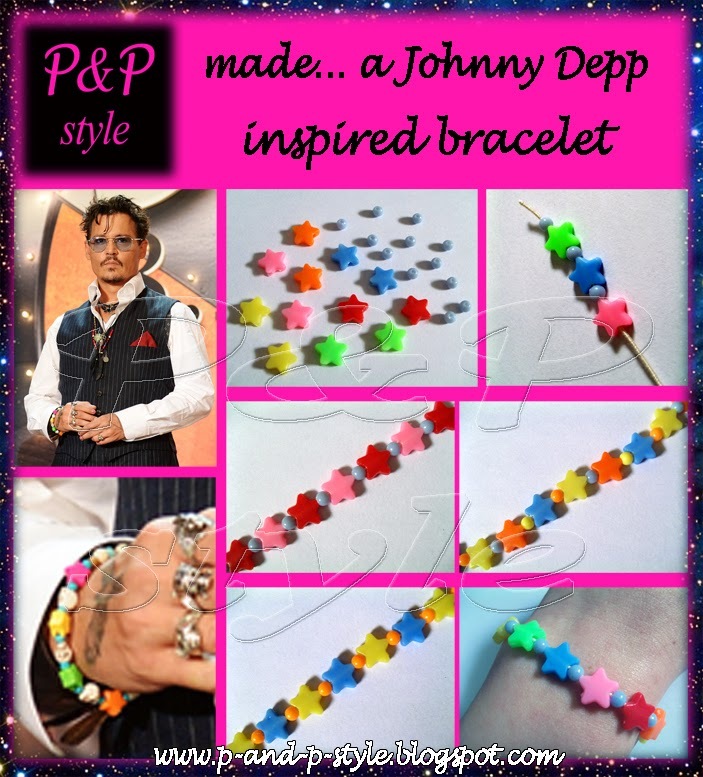 I saw a photo of Johnny Depp and I became aware of his bracelet. It was a beaded one so I thougt, I will make it myself, which I did and I still love it. All you need is beads and a rubber band. I used simple beads and star beads but the "original" had some skull beads as well. Just crashed into your blog and I just love it! Wow, I used to love this when i was a kid. I make plenty of these. Makes me want to make one too. Thank you ! Would you like to follow each other through Bloglovin' and GFC? Hiya! Nice bracelet! i love your blog and followed you! Maybe you'd like to follow back :) thank you! Very pretty & love the colours! gotta love JD, he's a hottie. Xo !